Dance Studios in Dubai is a professional dance school specialized in teaching ballroom dancing. The school was founded in 2011. The institute offers ballroom dance classes for adults and children which can be taught individually, in a group, or mixed between private and group classes. 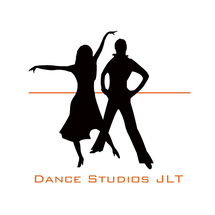 Dance Studios welcome anyone who is interested in dancing regardless of age, ability level or any other life circumstances. Its experienced dance instructors will lead you through learning dance step-by-step in a proper way. The studio boasts of its friendly and fun atmosphere in its purpose-designed school generated by its enthusiastic teachers, professional management team and of course, its students. What makes Dance Studios different is that it takes a serious approach using specific teaching methods, international syllabus, a well-organized system for dance education.